Equipping your worship group just got a whole lot easier! Now, all the songs from the outstanding three-volume source series are brought together in the complete source. This compact single edition includes the melody lines and chord symbols to a stunning 1700 worship songs and hymns! Perfectly complementing the single volumes in the series, this handy new edition will be warmly welcomed by worshipping musicians everywhere. The words to the hymns are also included. The Track Listing below gives the first line of each hymn or song. If a hymn or song is know by an alternative title, this is also given. 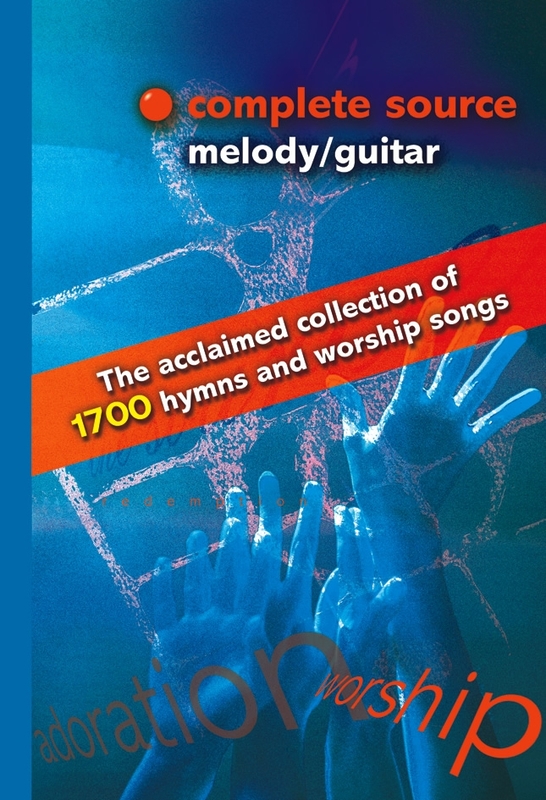 Complete Source: Melody & Guitar was published by Kevin Mayhew in March 2006 and is our 1985th best seller. The ISBN for Complete Source: Melody & Guitar is 9781844175536. Be the first to review Complete Source: Melody & Guitar! Got a question? No problem! Just click here to ask us about Complete Source: Melody & Guitar. Is there a cd rom or another way to download the songs for printing? Are the guitar chords shown for ALL verses or just the first verse? Is the book hard back, spiral or paperback? A:This hardback edition shows the music and chords for the first verse only, with the subsequent verses following separately. Does this include the words to the songs please? A:Yes, the complete words are included. Can a thousand souls be won in a day? Enough Eternal light, eternal light! Im so glad, Jesus lifted me! Who holds the heavens in his hands? Who is there like Almighty God? Who is this that appears like the dawn? Who is this who rises like the dawn?